According to its National Bureau of Statistics, China’s economy expanded 6.6 percent in 2018—slower than its 6.8-percent increase in 2017. It has been projected that China’s economy will slow down at some point, and it was always unlikely for China to sustain double-digit output growth indefinitely. Now this slowdown seems to be upon us, with ramifications for the global economy at large and specifically for the plastics supply chain. Based on the International Monetary Fund’s (IMF) report on July 26, 2018, China’s real gross domestic product (GDP) growth will slow to 6.4 percent this year, then to 6.3 percent and 6.0 percent in 2020 and 2021, respectively. By 2023, the IMF projects a real GDP growth of 5.5 percent. Nevertheless, China will remain the world’s second-largest economy for the near future. The U.S. trade relationship with China will not change dramatically, assuming that the ongoing U.S.-China trade dispute will be resolved sooner rather than later. In 2017, China’s merchandise exports totaled $2.3 trillon globally, and 19 percent of those were exported to the U.S. If we look at trade in the plastics industry—plastics resins, products, machinery, and molds—China is the third-largest market for the U.S. In 2017, the U.S. plastics industry exported $5.7 billion worth of goods to China, while it imported $17.2 billion from China. While the U.S. has a surplus in plastics industry trade globally, it is no secret that the U.S. has a longstanding plastics trade deficit with China—estimated at $11.5 billion in 2017 as discussed in the 2018 Global Trends Report. It is also no secret that China imposes higher tariffs on U.S. plastics entering their market. For plastics and products thereof under Harmonized Tariff Schedule chapter 39 (HTS 39), China levies an average tariff of 7.4 percent while the U.S. charges an average of 4.7 percent on plastics originating from China. With the ongoing U.S.-China trade dispute and slower growth of China’s economy that has dominated the headlines recently, how can we expect the role of China in global plastics trade to change? Trade data in 2018 did not change dramatically compared to 2017—at least not before both countries went to battle on tariffs. Comparing year-to-date data ending in October, the U.S. plastics industry exported $4.9 billion to China during this period in 2018—marginally above the $4.8 billion in 2017. Over the same period, the U.S. plastics industry imported $15.7 billion from China—significantly higher than the $14.2 billion worth of imports from China in the first ten months of 2017. Considering that international trade operates with long-term contracts, the negative effects of higher tariffs on trade volume will not be immediate, but will eventually show—particularly if the trade dispute continues unresolved. Import tariffs were cut from an average of 17.3 percent to 7.7 percent on a selection of consumer goods such as food, health products, medicines, clothes and shoes (December 2017). Tariffs on automotive vehicles were cut from 25 percent to 15 percent, and from 10 percent to 6 percent for auto parts (May 2018). China will cut import tariffs on 1,499 consumer goods items, including apparel, cosmetics, home appliances, and fitness products, reducing the average tariff from 15.7 to 6.9 percent, starting from July 1, 2018 (May 2018). Moreover, on September 30, 2018 it was announced that China will reduce import duties on textile products and metals, including steel products, to 8.4 percent from 11.5 percent, effective November 1, 2018. Average import tariffs on over fifteen hundred products will soon be lowered to 7.8 percent from 10.5 percent, according to China’s finance ministry. There is more compelling evidence of ongoing trade reform in China. While it is impossible to accurately quantify what these tariff reductions could create in terms of an uptick in U.S. exports to China, it is rather obvious that China recognizes that it needs to take bold steps to induce consumer spending by way of lowering prices—higher tariffs can be passed on to consumers—if there is going to be a rebalancing of its economy towards domestic consumption. As a side effect of this realization, the longstanding aspirations of the U.S. government and the business sector for more market access, and for freer and fairer trade with China might be realized, at least in part. As China’s economy rebalances, it would be shortsighted to assume that its role as a major player in global trade will diminish. In fact, a slow growth rate in China would still be well above the projected growth rates for the other G7 countries. Based on IMF’s latest forecast, a 3.5-percent global output growth is projected this year with projections for world trade volume of goods and services at 4.0 percent growth this year—the same as in 2018. The Euro Area will only grow 1.6 percent this year, lower than the 1.8 percent growth last year. Output growth in Japan, Germany, and the United Kingdom are projected at 1.1 percent, 1.3 and 1.5 percent, respectively, in 2019. A 2.1-percent economic growth in Mexico is expected this year and a 1.9 percent increase for Canada. While China’s economy is projected to slow from consumption and production points of view, China will remain a global player. And by extension, it would be shortsighted to assume that its role as a major player of the global plastics trade will diminish too significantly. If China succeeds in cultivating a domestic-consumption based economy and U.S.-China trade relations improve towards more free and fair trade, the net effect on the U.S. plastics industry trade will more likely be positive than negative. April 5, 2019 The first two months of 2019 showed softer U.S. inflation. By and large, the monthly dips and rises in plastics price indices vary by materials and products, and only swing within a narrow band, suggesting the underlying trend of prices in the U.S. remains stable, and supportive of a growing economy. December 12, 2018 On December 10, 2018 we lost an incredible leader, colleague and friend. Our President & CEO Bill Carteaux passed away due to complications from acute myeloid leukemia (AML), the disease he had been fighting with determination and courage. December 11, 2018 As the year draws to a close, all indicators point to another good year for the U.S. plastics industry. Against the backdrop of sound U.S. economic fundamentals, strong labor markets, healthy business and consumer balances, demand for plastics stayed upbeat in 2018. 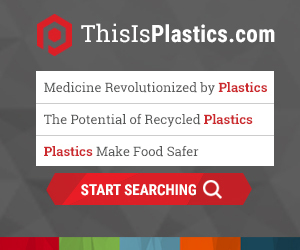 PLASTICS Blog Enter your email to stay up-to-date with the latest PLASTICS content!